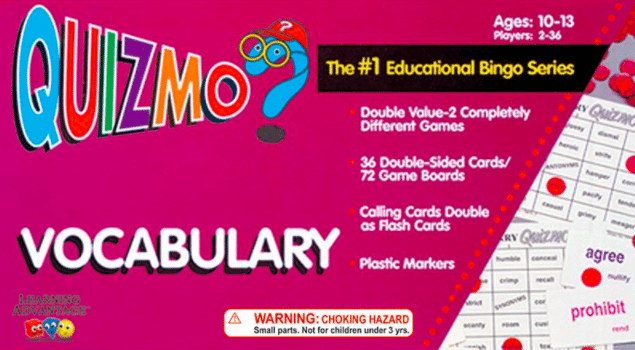 Learning vocabulary doesn’t have to be all flashcards and boredom! How do you make those vocabulary words stick—not just for the vocab quiz tomorrow but for the long term? Practice, practice, practice! The best way to get your students excited about words is if you make them too much fun to resist! It doesn’t matter whether your students are learning about Native American tribes, plant cells, or John Steinbeck, word knowledge impacts comprehension and overall learning. 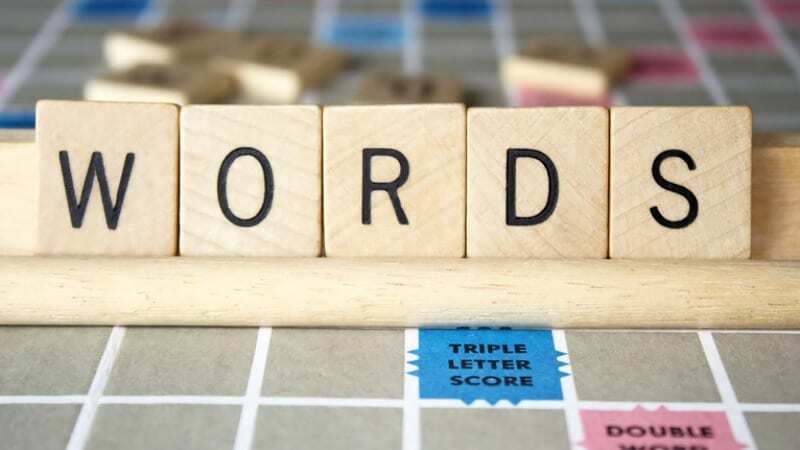 Here are 15 perfect vocabulary games for students to play at school or at home. This post contains affiliate links, which means we may collect a share of sales from the links on this page. We only recommend items our team loves! 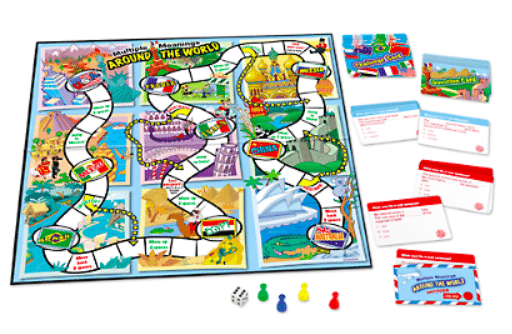 Students travel the world by identifying words with multiple meanings—and master vocabulary skills as they play! Grades 4 & 5. 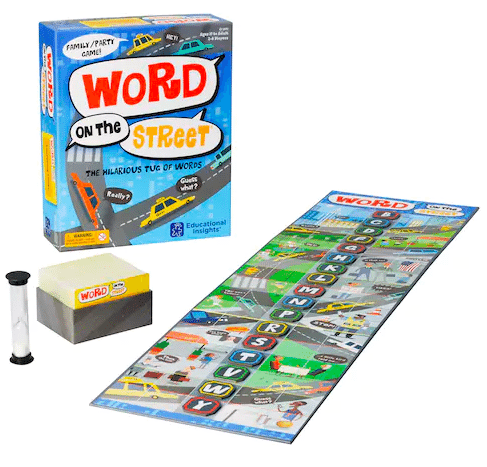 Buckle up and get in the fast lane to fun with Word on the Street, the hilarious tug of words. Students have 30 seconds to come up with a word that matches each category card, then players moves the letters found in the answer 1 space at a time toward their side of the street. First player to claim letters wins. Grades 4 & up. 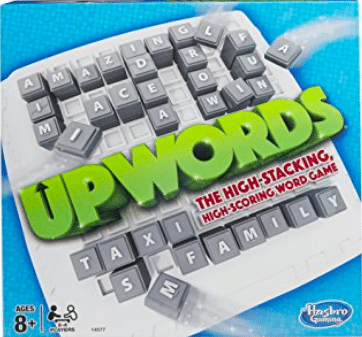 Perfect game for using words in different contexts. A word card is drawn and students must come with a phrase using that word. 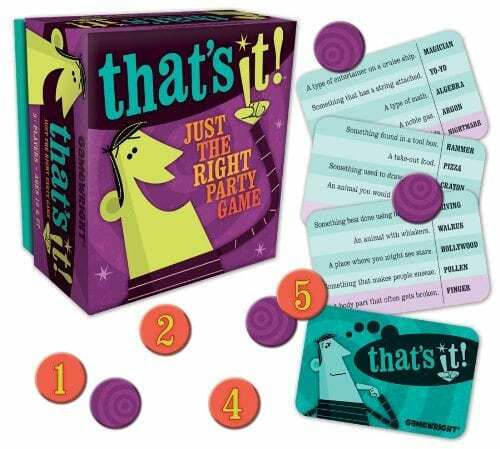 Players compare answers and score one point for each phrase that other players haven’t thought of. Grades 4 & up. 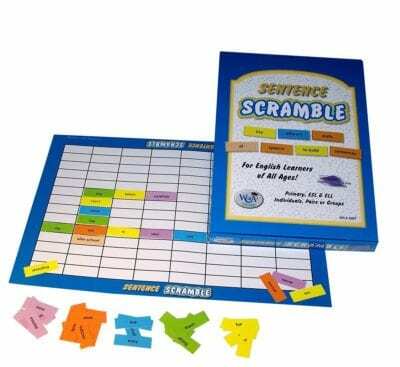 Familiarize students with vocab words with this Bingo-like game. Game boards feature synonyms on one side and antonyms on the other. Students must determine whether their cards contain a synonym or antonym for the word called out by the teacher. Grades 5-8. 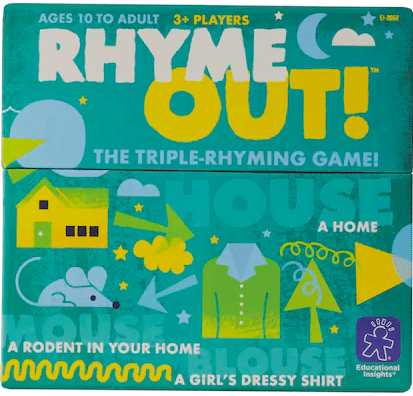 This triple-rhyming card game is loads of fun! Each card gives 3 clues and a “rhymes with” hint. Players must come up with the correct rhyming words. Grades 4 & up. 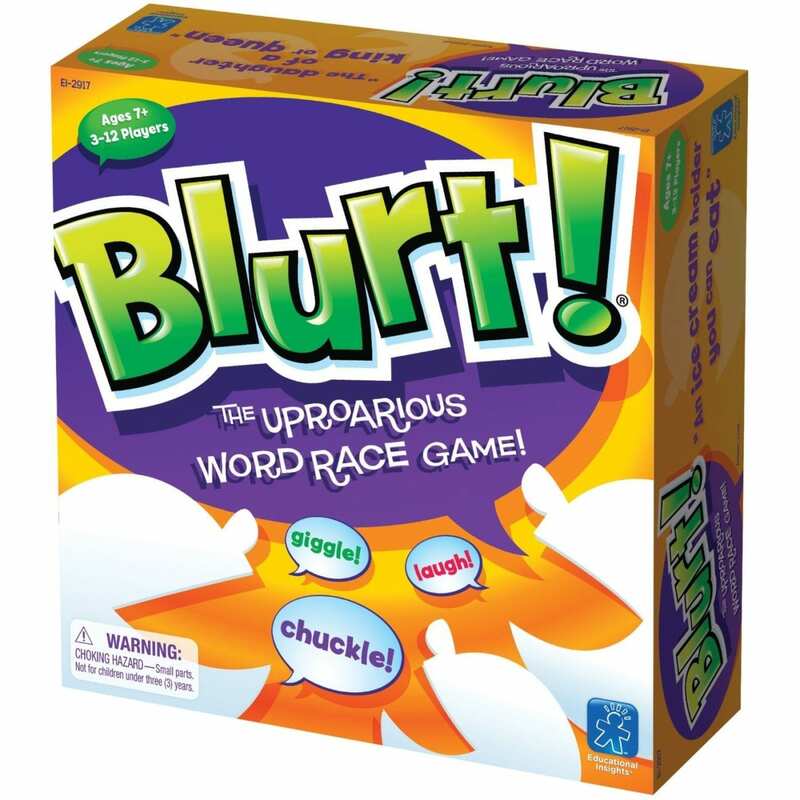 Students listen to a definition, then race the other players to shout out the right word first! Grades 3 & up. A think-quick game for vocabulary practice. 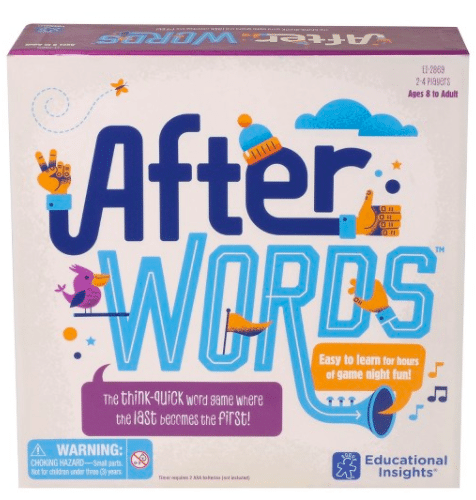 Students must quickly come up with a word that works with the category in play AND begins with the last letter of the last word played. Grades 4 & up. 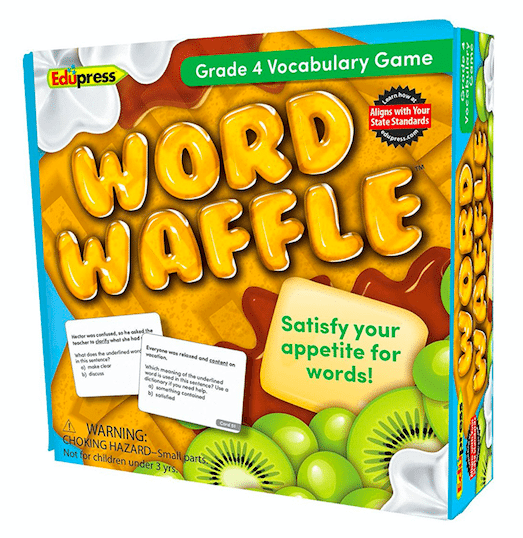 In this mouthwatering multiple-choice game, students must “waffle” between two answers. If they pick the correct answer to the vocabulary question, they keep all their waffle toppings; if not, they give half of their toppings back to the kitchen. Comes in different grade level versions. This game is harder than it looks! 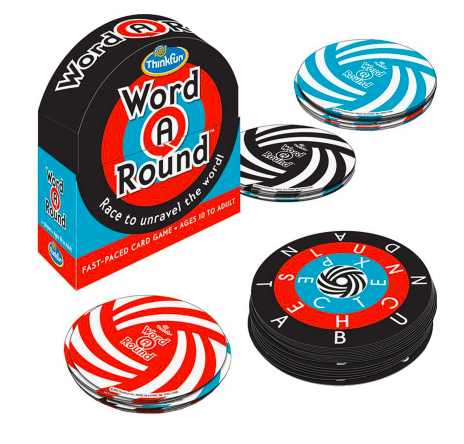 Each card features a word printed in a circle. 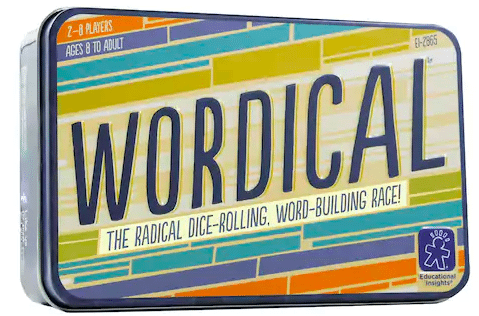 Players race to determine where the word starts and read it aloud. Includes 300 words. Grades 4-8. Students try to build the highest-scoring word by rolling the vowel dice and combining it with their consonant cards. Grades 4 & up. A crazy-fast word building challenge. 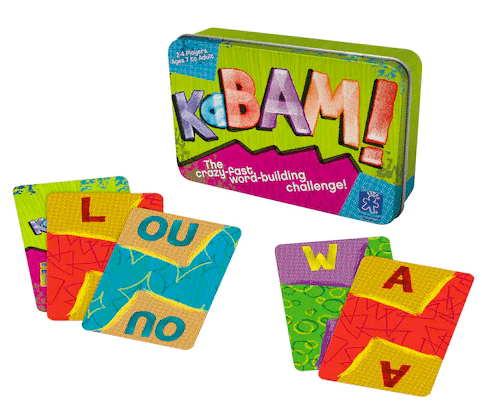 Be the first to build a word by adding one or more letters to the letter cards. Think of them as building blocks of vocabulary. These sturdy. color-coded dominoes are designed to help your students master the use of root words, prefixes, and suffixes. Grade 3 & up. 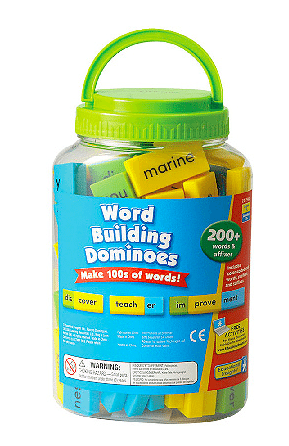 Students love this popular 3-D word building game. Like a crossword puzzle, but with the ability to build on top of words already played. Grades 3 & up. Draw a topic card and then race to shout out answers until someone says the exact word written. Get the most right and Thats It! you win! Grades 4 & up. 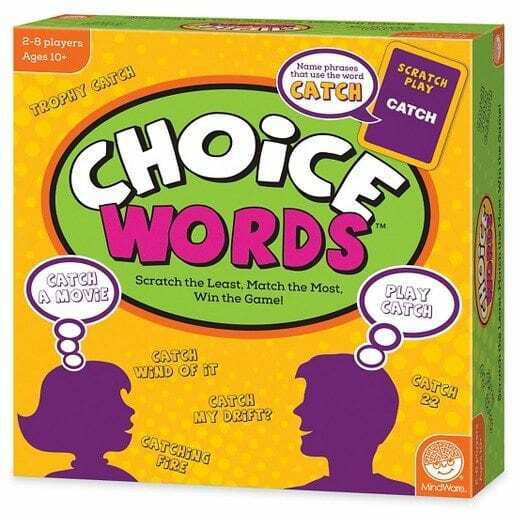 The object of this game is to form as many sentences as possible with a color-coded set of word cards. Each set is a different part of speech-verbs, nouns, prepositions, etc. Grade 4 & up. Do your students have a favorite vocabulary game? Add it to the comments below.